It worked out to 4.5' in diameter. Blocking it was a bit of a challenge! 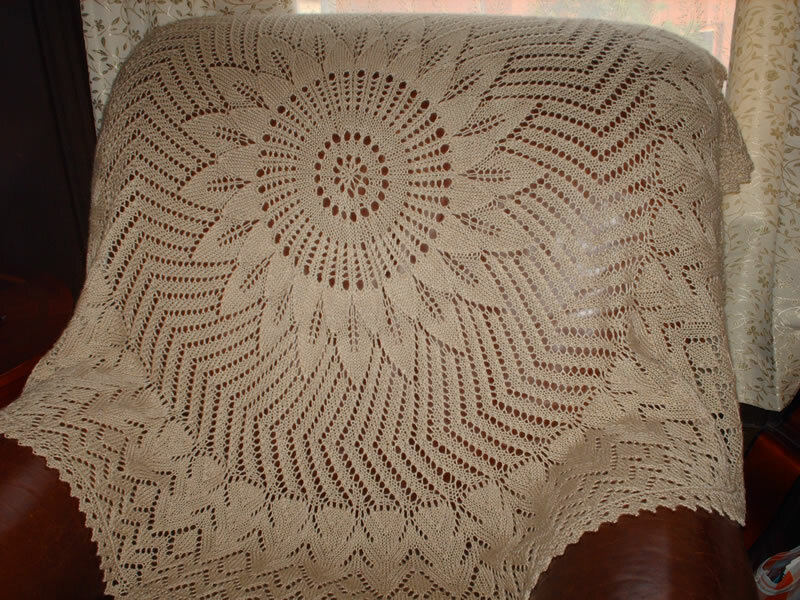 Comments: A wonderful pattern and an easy lace knit, once you get past the cast on!